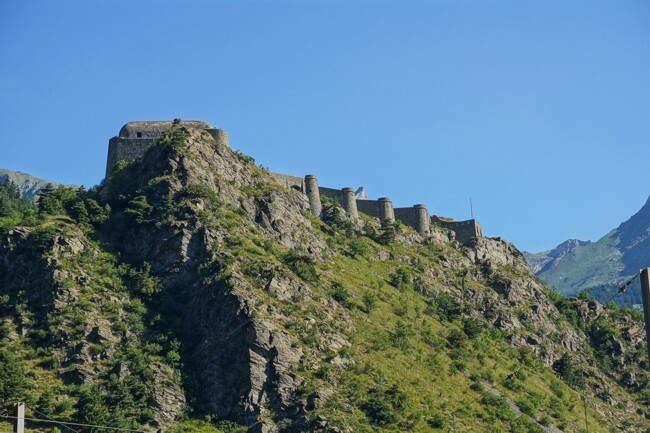 The fort Replaton lies high and dry. 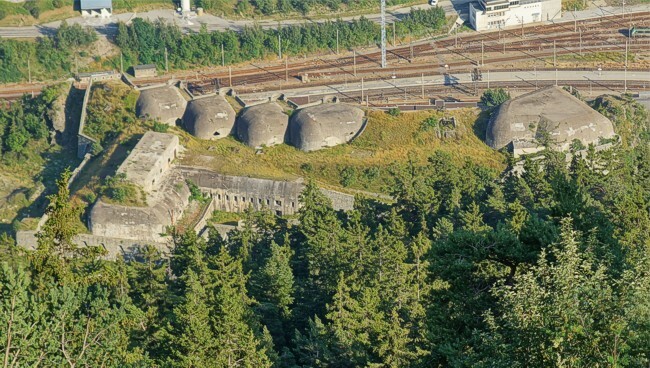 At one side an observation bunker in Maginot style was build. From above taken from the Ouvrage Sapey. 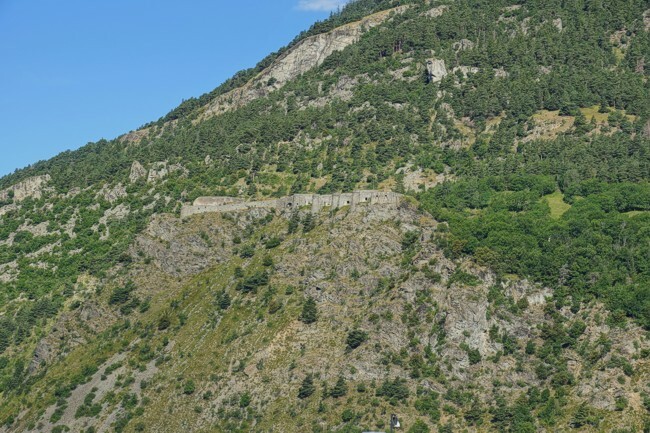 South of the fort lies the remains of once the entrance of a railway tunnel. It was build in 1881. 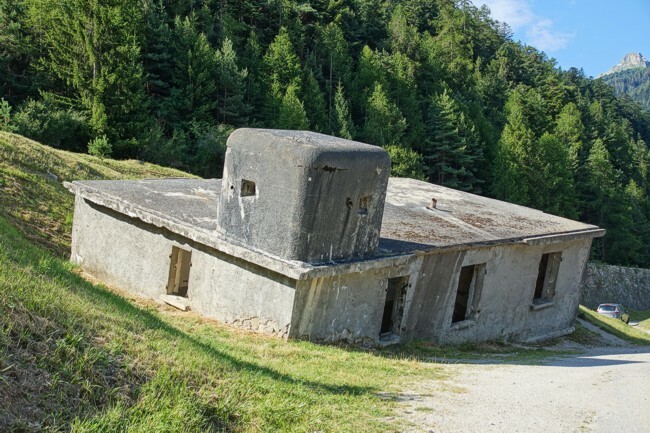 The French reinforced it in 1939 with an observation block. 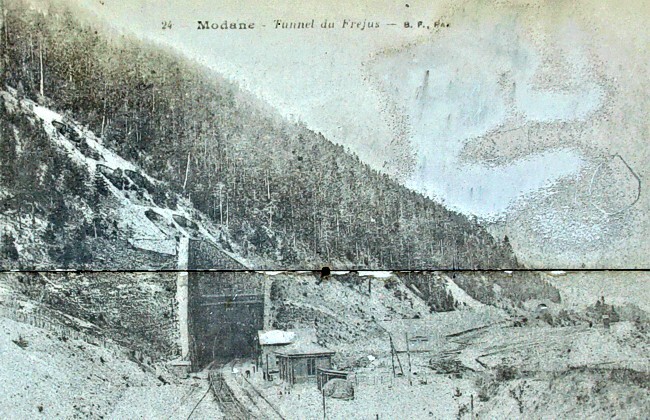 The Germans used the tunnel for storage and blew the entrance in 1944. This action disturbed the balance of the building.